Sculpture, Photography, computer generated art, Work done under supervision, Work done in a class or workshop, Copied Work, Work previously accepted into any NVAL juried show. 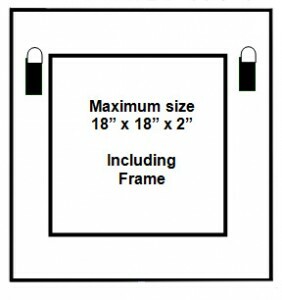 Maximum size 18 x 18 including frame. Awards at approx. 7:00 p.m. The juror will select art work for the show from the entries submitted. Artists will receive notification by mail of selected and/or not selected entries. Awards are given at the juror’s discretion. The decision of the juror is final. Awards will be presented at the reception on Friday, January 13, 6 – 8 pm. Provide a stamped, self-addressed envelope for notification.